Databases, dependencies, cron jobs … Applications today have so many layers that it isn’t a surprise when moving things takes a lot of time. But it doesn’t have to be that way. Today, you can ship software to virtually any environment, and be up and running in seconds. Enter Docker. Delivering software used to be easy. The hard part was programming, but once you finished you would just handle the product, maybe fix some bugs, and that’d be all. Later, with the “LAMP stack” (Linux, Apache, MySQL, PHP) — which was widely supported by hosting companies — things got slightly more complicated, but were still manageable. You could deliver dynamic sites linked to databases and set everything up via control panels. But in more recent times, the scenario has gotten even more diverse and demanding, as new technologies have broken in. NoSQL databases and Node.js, programming languages like Python and Ruby, have gained in prominence. All of these and more have opened lots of possibilities, but now delivering software is not so easy anymore. Applications have become hard to implement. Even if you get yourself a dedicated server, you still have to deal with installing and setting things up, and even some of the maintenance that’s needed to get everything up and running. And yet, with everything working, given that now you are in complex and tightly coupled systems with different services and programming languages, there’s always the chance that things will break all of a sudden. Docker makes delivering software easy again. Docker allows you to set up everything — the software you’ve developed, the OS in which it will run, the services that it needs, the modules and back-end tools such as cron jobs. All of it can be set up to run in minutes, with the guarantee that it will work on the target system as well as it works on your development environment. The application you carefully developed with your favorite language (Python, Ruby, PHP, C) doesn’t seem to work on the target system, and you can’t quite figure why. Everything was working just fine … until someone updated something on the server, and now it doesn’t anymore. An otherwise minor dependency (e.g. a module that’s used only occasionally, or a cron job) causes problems when your client uses the software … But it was working just fine on your computer when you tested it! A service your product relies on, like a database or a web server, has some problem (e.g. high traffic for a website, or some problematic SQL code) and acts as a bottleneck slowing down the entire system. A security breach compromises some component of the system and, as a result, everything goes down. These issues fall within the somewhat fuzzy territory of “DevOps”, with some of them involving maintenance issues (server updates), some testing issues (checking modules versions), and some deployment issues (installing and setting up everything on a different location). It’s a real pain when deployment of something that’s already working doesn’t go smoothly, instead becoming problematic and time consuming. You can put pretty much anything in one, ship it anywhere, and at the other end unload what’s there — a car, some furniture, a piano — in exactly the same, original condition. In software development, we may spend days trying to get things working on a different environment — only for them to fail a couple of days later. It’s easier and faster to ship a working car to a different continent than to deliver software that works reliably. Isn’t that kind of embarrassing? So people started thinking of something similar to shipping containers for delivering software — something you could use to ship software in a reliable way, that would actually work as expected: software containers. This might make you thinks of software installers, like those used to easily distribute desktop applications. With an installer, all you can distribute is an executable and some runtime libraries (small programs that the main application needs for running) — as long as these don’t conflict with those that the system has already installed. In contrast, software containers enable us to ship pretty much anything — just as with physical containers. maintenance back end tools, such as cron jobs and other automation. 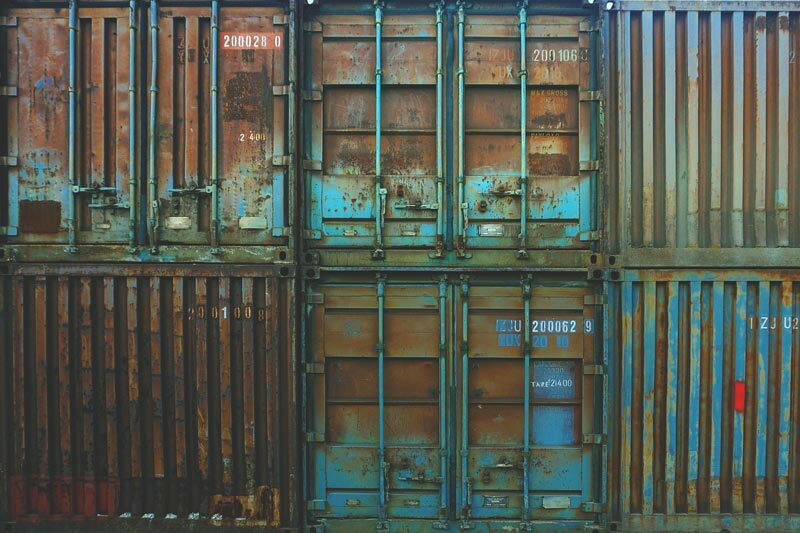 Containers simplify operations dramatically. And they’re so practical, easy to create and easy to handle that there’s no need to put everything into a single one. You can put the core of your application with the libraries in one container, and call services such as Apache, MySQL or MongoDB, from different containers. This all may sound strange and even complicated, but bear with me and you’ll see how doing so not only makes a lot of sense, but it’s way easier that it sounds. a setup with an effective separation of concerns, with loosely coupled components (apps from services to operating systems) that can be handled independently. a Windows-based development environment (such as .NET Framework, or VisualBasic runtimes) that cannot be implemented on Linux. 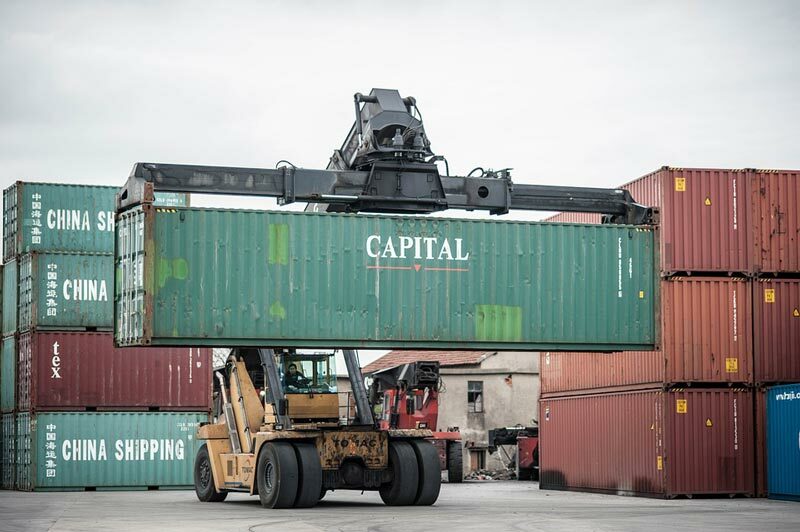 For those situations in which containers shine, you may be wondering how this technology is implemented in practice. So let’s see look at how Docker delivers on all of these promises. 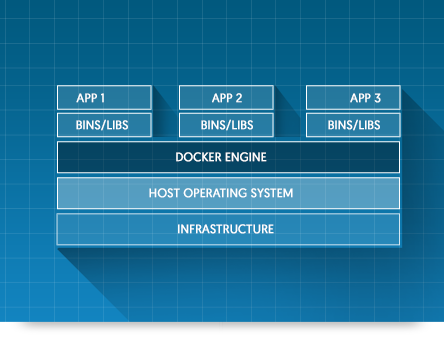 Docker is an open-source project — as well as a company, based in San Francisco, supporting that project. It was just born in 2013, and yet in so little time and still partly in beta, it’s being massively adopted in a number of industries. Docker containers wrap a piece of software in a complete filesystem that contains everything needed to run: code, runtime, system tools, system libraries — anything that can be installed on a server. This guarantees that the software will always run the same, regardless of its environment. As that may still be a little too abstract, let’s see what running a container is like. 1. The Docker Engine CLI client contacted the Docker Engine daemon. 2. The Docker Engine daemon pulled the "hello-world" image from the Docker Hub. The first command launches interactive (-i) TTY or console (-t) in the ubuntu container with the bash shell. The second command (cat /etc/issue) is already inside the container (and we could have continued running commands, of course). To be clear: no matter if you’re on Windows, your Mac, or your Debian box, for that container you’re in an Ubuntu machine. And for the record, that console was up and running in a second! If you’re familiar with virtual machines (VM) such as a hypervisor, you may already have started to notice some differences. While they allow you to run different operating systems (OS), VMs have a heavy memory footprint on the host machine, as every new OS is loaded from scratch into main memory. And since every OS requires all its own binaries and libraries for the entire system, that usually accounts for several extra GBs of space on disk. Last but not least, just as when launching an actual OS, the system takes several minutes to load before it’s operational. 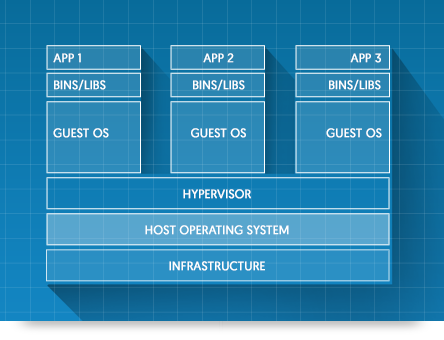 Virtual machines diagram by Docker, Inc.
Software containers, on the other hand, dramatically reduce most of this overhead, because they directly use resources from the host OS, which are handled by the Docker Engine, allowing for a more direct and efficient management of resources. That’s why, in just about a 100MB you can have a minimal yet fully working Linux distribution such as Ubuntu that you can launch in literally 1 second. Software containers diagram by Docker, Inc.
You’ll hear a lot about “images” and “containers” when working with Docker, so let’s clarify what they are. An image (sometimes called “the build”) is a file, a read-only resource that you download or create, packed with everything that’s needed for an operational environment. Building images is very easy, because you can use already available images as a base (for example, a Debian distribution), and tell Docker what you want on top of it, like certain development tools, libraries, and even put your own application inside. A container, on the other hand, is the isolated environment that you get when you run an image, and it is read and write, so you can do whatever you want in them. This environment is going to be in the precise state that was defined when building the image. And since images are read-only, when you run a new container you have a perfect new environment, no matter what you did in other containers. You can run as many simultaneous containers as your system can handle. So you run containers from images. An analogy that can be useful — if you work with object-oriented programming such as C or Java — is that an image is like a class, whereas a container would be an instance of that class. Run a container on a host machine. All you need is to have Docker installed in order to be able to run containers, deploy microservices (that is, launching different containers running different services), and have the environment you need for development or deployment. The possibilities with software containers are immense, and they provide in many cases definite solutions to what used to be open problems in the area of development and operations (DevOps). We’ll give you here a list of resources to get you started working with Docker and software containers. Windows: 64-bit operating system, Windows 7 or higher. Mac: OS X 10.8 “Mountain Lion” or newer, with Intel’s hardware support for memory management unit (MMU) virtualization, and at least 4GB of RAM. Getting Started with Docker for Windows. Getting Started with Docker for Mac. Install Docker Engine on Linux. Finally, keep in mind that this technology consists of a lot more than a command tool for running containers. Docker is an ecosystem of products and services oriented towards centralizing everything you can possibly do with containers — from creation to distribution, from running on a single machine to orchestration across hundreds or even thousands of servers. Lucero is a programmer and entrepreneur with a feel for Python, data science and DevOps. Raised in Buenos Aires, Argentina, he's a musician who loves languages (those you use to talk to people) and dancing.